A craft distillery is reborn in Nashville, Tennessee… and they’re putting “the B word” on the label! 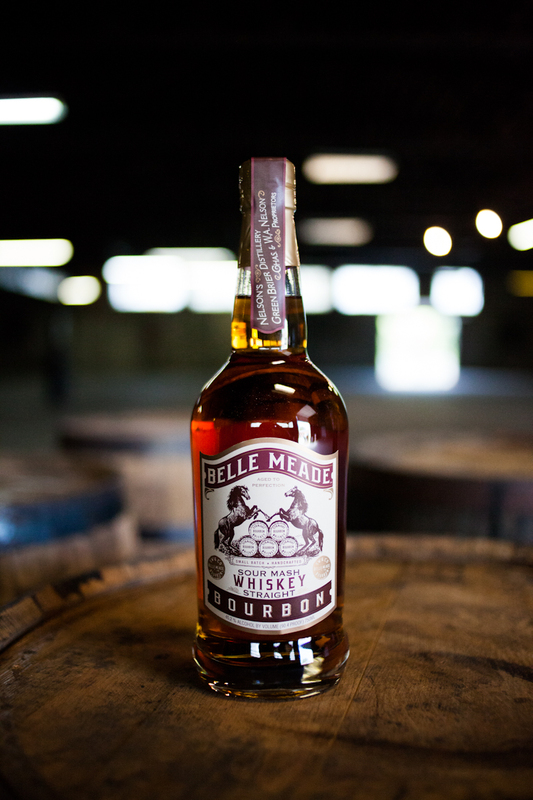 Belle Meade is, as the story goes, a relaunch of a pre-Prohibition bourbon brand that was owned by one Charles Nelson. Today, two of his great-great-great grandsons are bringing the brand back, under the auspices of Nelson’s Green Brier Distillery, with the goal of producing small batch whiskey that approximates their ancestor’s recipe. That’s the idea, anyway. At present, this is high-rye, slightly overproof bourbon (no age statement) sourced from Indiana’s MGP, in advance of the Nelsons finishing up their own on-site distillery, hopefully sometime this year. Instead, Belle Meade is something of a first volley to get investors’ — and drinkers’ — palates wet. As for the juice, it’s got a quite mild nose, offering notes of applesauce, cinnamon, and grapefruit skins alongside straightforward wood barrel character. On the palate, the body is moderate with that rye giving off a lot of baking spice, mint chocolate, and cedar wood planks. On the whole it’s pleasant and balanced but a little on the thin side, coming up just a little short in the power department. My thoughts exactly: thin. I have tried this on occasion while out and it just hasn’t impressed me. I think this shows the amazing range MGP whiskey from the outstanding to the merely serviceable. I applaud the bottlers in their efforts to get their own distillery going and hope this offering supports them until they do, but I won’t be buying any more of it. Pricey but excellent. I’m no connoisseur but of the bourbons I’ve tried that have “sour mash” prominently on the label, this is the best.